India Post Payments Bank is finally operational and with it comes one of the biggest banking entity in the country, giving existing Payments Bank like Paytm and Airtel a run for their money. India Post Payments Bank is finally operational and with it comes one of the biggest banking entity in the country, giving existing Payments Bank like Paytm and Airtel a run for their money. 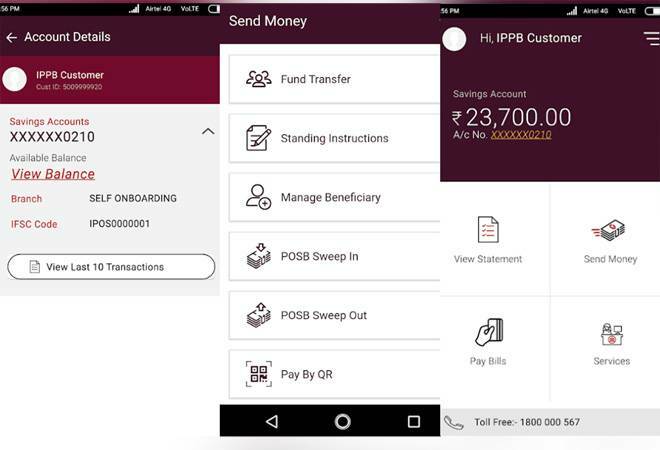 Though the new banking services will be offered on a person to person basis, the Payments Bank also has an app to help transact online. Currently, the application is only available on Android's Play Store. To look for the application, one will have to enter 'India Post Payments Bank' which will yield an app by 'India Post Payments Bank Ltd' by the name 'IPPB Mobile Banking'. When you install the application, on the first page you will have the option to log-in with your userID password. If you don't have an account, click on 'open your account now'. This will take you to the next page which asks for your mobile number, the product name you want to subscribe to and PAN details. Once filled, you'll have to click on 'continue'. On the next page, you'll be asked to enter and re-enter your Aadhaar number. You will also be asked to agree to the terms and conditions. The application will then send an OTP (one-time password) on your registered number. The application seems to have a problem while processing the OTP. On submitting the password for the registered mobile number and Aadhaar number, the app gives an error message stating, "something went wrong & resident authentication failed." However, if you manage to complete the registration process by creating a user ID and password, you'll have to register for mobile banking service. To register for mobile banking, you'll have to provide details like your new IPPB account number, customer ID, date of birth and the registered number. Once entered, the app will send another OTP to the registered number. You will then have to create an MPIN to complete the mobile banking registration process.